Find out everything you need to know about setting up a Second Suite in your home. 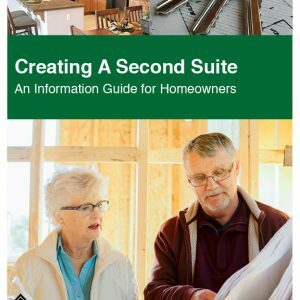 The Guide to Creating a Second Suite explains the process of creating and upgrading authorized Second Suites in Ontario, and contains detailed information about the regulatory environment that governs homeowners. It includes information related to zoning, building, fire and electrical safety inspections, insurance, and licensing and registration. A discussion about the rules and established standards in place to ensure that houses with Second Suites are safe and livable for both landlords and their tenants is also included.